Gamestop stores are not so flexible with their return policy. 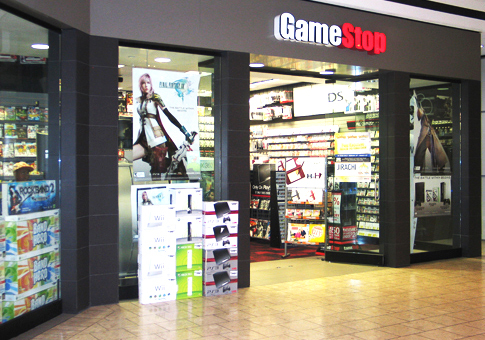 Most products ordered from GameStop.com can be returned directly to their warehouse or to a GameStop store, subject to certain guidelines. Returned no more than 30 days from the date on the packing slip. New items that are unopened and in original packaging. Pre-owned items in their original condition. They do not accept returns for items that are damaged, played, or missing parts or items that were sold as part of a bundle, unless the complete bundle is returned. Returned product(s) must be in the original packaging and include any manuals, cabling and accessories in sellable condition. They reserve the right to limit returns to unopened or defective products. Defective product(s) will be replaced with a like item, upon return. Terms and conditions of manufacturer’s warranty apply to defective video games systems and computer hardware after 30 days.